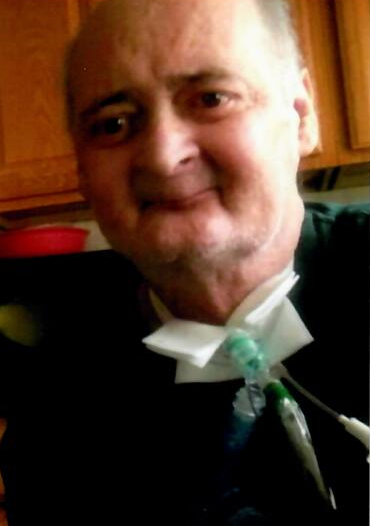 Richard G. Waltman, 67, of La Porte, passed away on Saturday, January 25, 2019 at Porter Regional Hospital. Richard was born in La Porte, IN, on August 8, 1951 to John A. and Mary J. (Bennitt) Waltman. On April 14, 1973, he married Elizabeth Rock who survives. Also surviving are his beloved children, Lalena Marshall of Kingsford Heights and Anthony (Tammy) Waltman of Griffith, IN; grandchildren, Elisha Krauth of La Porte, Myra Ward of La Porte, PVT 2 Myron Ward of Port Stewart, GA, Desirea Ward of La Porte, Coriandre Waltman of Griffith, and Alexandrea Waltman of Griffith; great-grandchildren, Braxton Jeffers of La Porte and Kai Tatum of La Porte; brothers, Craig (Paula) Waltman of La Porte and Jeffrey (Victoria) Waltman of Rantool, IL; and his dog, E.Z. Richard was preceded in death by his parents. Richard proudly served his county in Vietnam in the US Marine Corps. He enjoyed spending time with his family, shooting guns with his brother, dancing, cake decorating, bird watching, and landscaping. Cremation has taken place with Cutler Funeral Home and Cremation Center, La Porte. There will not be any services held at this time. Memorial contributions may be directed to the family c/o ElizabethWaltman, 2900 Monroe Street, La Porte, IN 46350.